Many athletes, artists, actors and other superstars have followed in the footsteps of their parents. Some we see on the big screen, others we see on the field or basketball court. Others are behind the director’s chair making some of our favorite films. And we are all here for it. In 2016 when the HBO hit series Ballers graced the scene, if you closed your eyes for about two seconds during scenes with break-out wide receiver Ricky, you’d think you were hearing actor Denzel Washington. 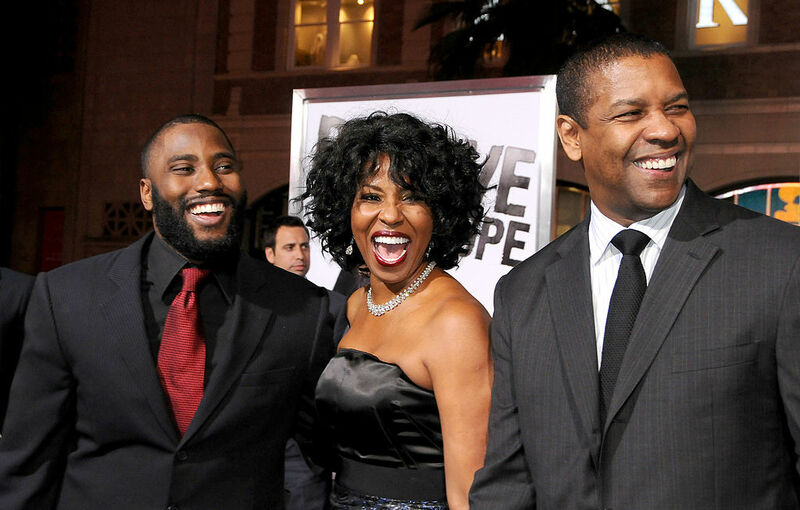 That’s because the role is played by his son, John David Washington. Or when the role of director, actor and rapper Ice Cube in Straight Outta Compton was played by his son, O’Shea Jackson Jr., who had an uncanny resemblance to his father. Many superstars fit the bill of the famous parent/child combo. Here are just a few, as The Undefeated continues to celebrate families. 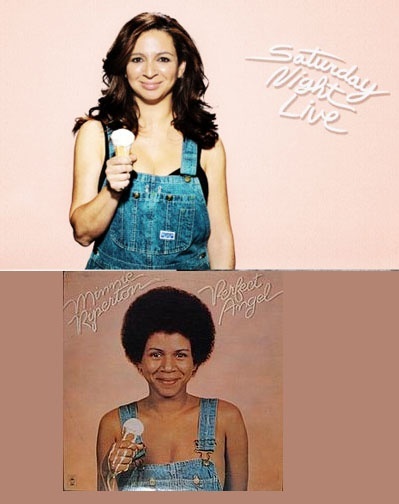 Though Maya Rudolph experienced the pain of losing her mother, singer-songwriter Minnie Riperton to breast cancer two weeks before her seventh birthday, their time together was enough for the two to bond through their love for music. “… My mom was music,” Rudolph told NPR in 2012. “Music poured out of my mother, and I’m sure I heard it before I even got here when I was in her belly. … [My parents] were on the road a lot. 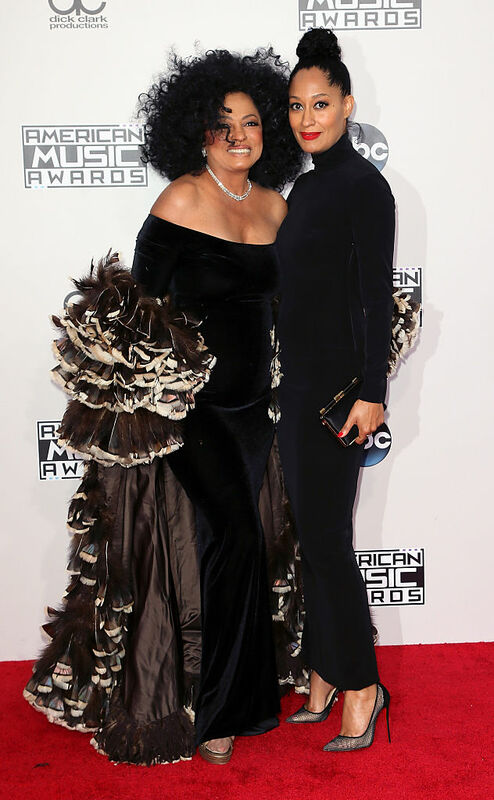 My brother and I would go with them, I think when we were very little, because my mom did not want to be away from us.” Through Rudolph’s own career, her Riperton lives on. Rudolph, who has established herself as an exceptional actress and cast member on NBC’s Saturday Night Live, sometimes sprinkles subtle tributes in her performances to honor her late mother. 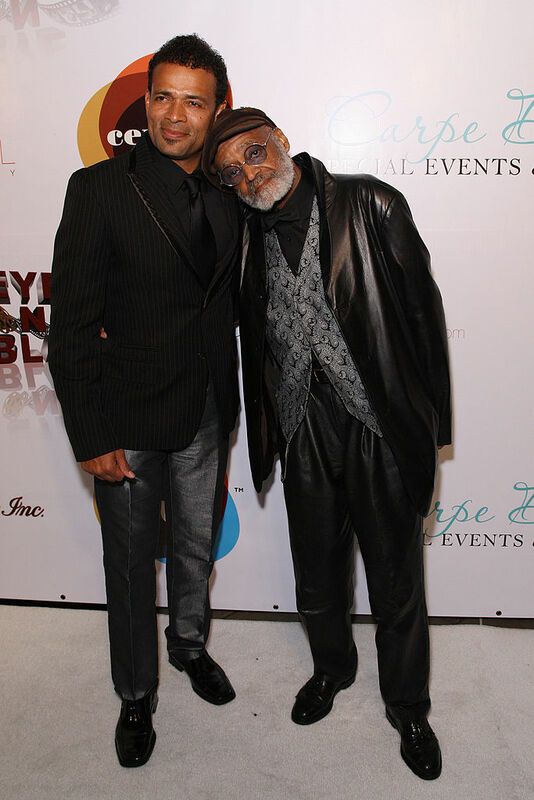 Actor Mario Van Peebles (left) and director Melvin Van Peebles attend the 2011 Eye On Black — A Salute To Directors at California African American Museum on Feb. 25, 2011, in Los Angeles, California. Actor and director Mario Van Peebles has been on the screen since 1971. He has directed several episodes of shows such as 21 Jump Street but he made his feature film directorial debut in the drug-filled crime movie New Jack City, for which he is best known. This was followed by Posse in 1993, Panther in 1995 and Love Kills in 1998. He gets his art chops from his famous father Melvin Van Peebles, who is most known for the iconic film and action thriller Sweet Sweetback’s Baadasssss Song. Actress and director Rashida Jones has spent her life in the celebrity world but she grew into the breakout star in the series Parks and Recreation. The daughter of writer and composer Quincy Jones, Rashida Jones’ turn into the spotlight does not come without her acknowledging her father. Her sister, designer Kidada Jones, was the best friend to entertainer Aaliyah and was engaged to Tupac Shakur. Their father was the producer, with Michael Jackson, of Jackson’s albums Off the Wall (1979), Thriller (1982), and Bad. Rashida Jones’ new show Claws on FX has been catching waves. For Quincy Jones’ 80th birthday, Rashida Jones wrote a tribute to her father for Variety.com titled Billion-Dollar Maestro. When actors Will Smith and Jada Pinkett Smith got married in 1997, no one knew two superfamous children would come of their union. Jaden and Willow Smith have both made a name for themselves. Jaden has become a young actor whose first movie debut was with his father in the 2006 film The Pursuit of Happyness and he later starred in 2010 remake of The Karate Kid. 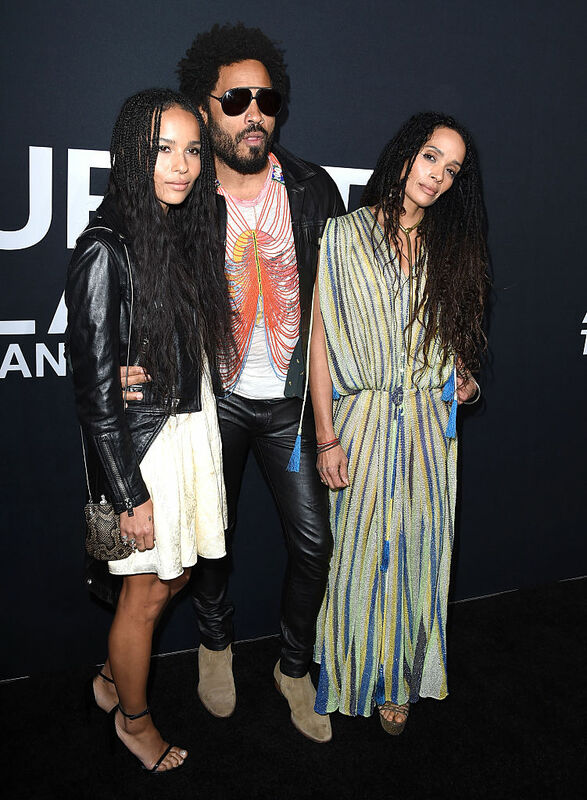 His younger sister Willow is triple-threat singer, actor and dancer who caught the world by storm in her when she launched her music career in 2010 with Whip My Hair. The two shared their first cover together for Interview magazine’s September 2016 issue. 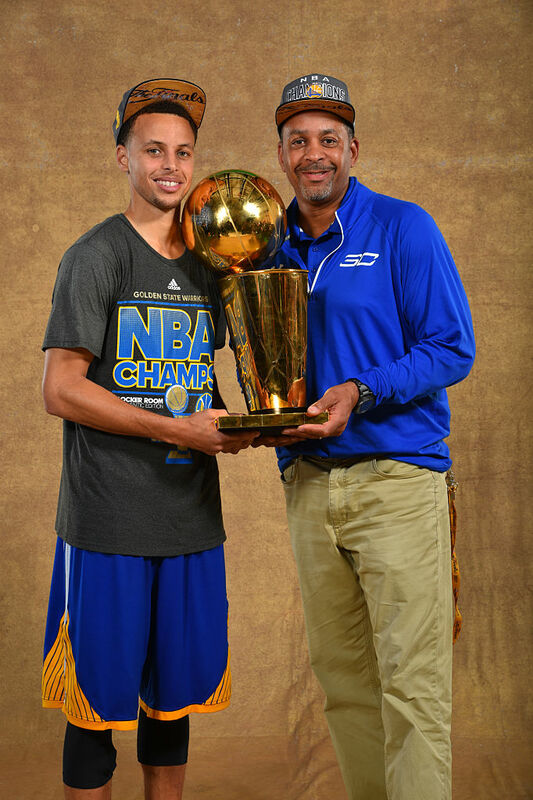 Golden State Warrior star Stephen Curry grew up in the basketball world under the wings of his famous father, NBA guard Dell Curry. He learned not only the game of basketball from his father but the game of life. He uses his parents as an example of how to care for his young family. Curry’s 2015 MVP acceptance speech brought all the tears and tissue as he spoke about his father. Retired NBA standout and Duke-educated Grant Hill has sports in his blood. His famous Yale-educated father is retired NFL running back Calvin Hill, who spent 12 seasons in the league with the Dallas Cowboys, Washington Redskins and the Cleveland Browns. Grant Hill found his talents in basketball and played in the NBA for almost two decades. 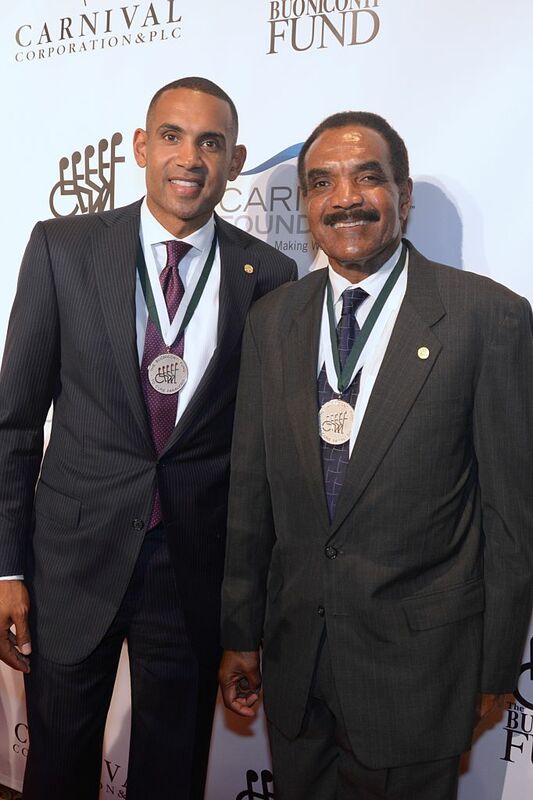 In an excerpt written by Grant Hill for the book Fatherhood: Rising to the Ultimate Challenge by Etan Thomas with Nick Chiles, he talked about his love for his father. The late Bobby Lee Bonds was a speedy and powerful right fielder who spent most of his career with the San Francisco Giants. 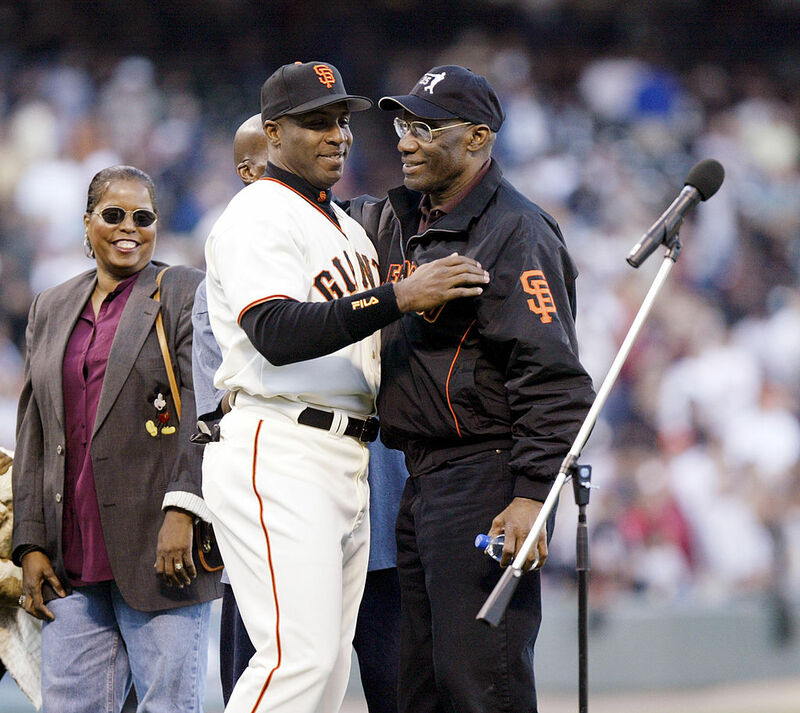 He became the second player to hit 300 career home runs and steal 300 bases along Willie Mays. So his son Barry followed in his footsteps. The left fielder spent his career with the Pittsburgh Pirates and San Francisco Giants and received seven National League MVP awards and 14 All-Star selections. According to ESPN.com, in 2015 when Bonds was hired as the Miami Marlins’ hitting coach, he credited his father for the things he taught him. 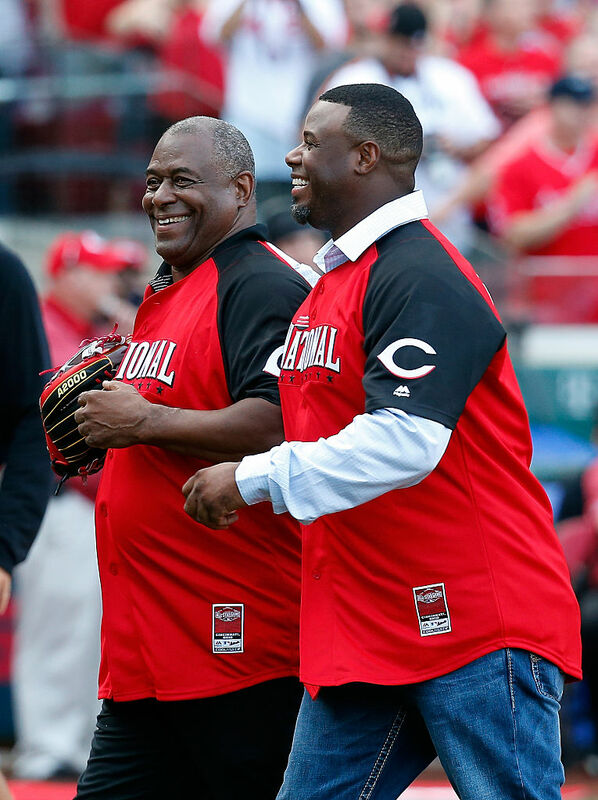 Ken Griffey Jr./Ken Griffey Sr.
Ken Griffey Sr. (left) and Ken Griffey Jr. during the Gillette Home Run Derby presented by Head & Shoulders at the Great American Ball Park on July 13, 2015, in Cincinnati. On Aug. 31, 1990, Ken Griffey Sr. and his son Ken Griffey Jr. made history when they both played for the Seattle Mariners in a game against the Kansas City Royals. This father-son baseball combo was one of the toughest. At the time, Griffey Sr. was 40 years old. Griffey Sr. played right field on the Reds teams that won back-to-back World Series titles in 1975-76. He was a three-time All-Star, and was named All-Star Game MVP in 1980. Griffey Jr. was inducted into the MLB Hall of Fame in 2016, where he talked about his father during his acceptance speech. If imitating your parent in front of millions seems stress-inducing, O’Shea Jackson Jr., son of rapper and actor Ice Cube, will tell you it’s every bit just as nerve-racking as it sounds. 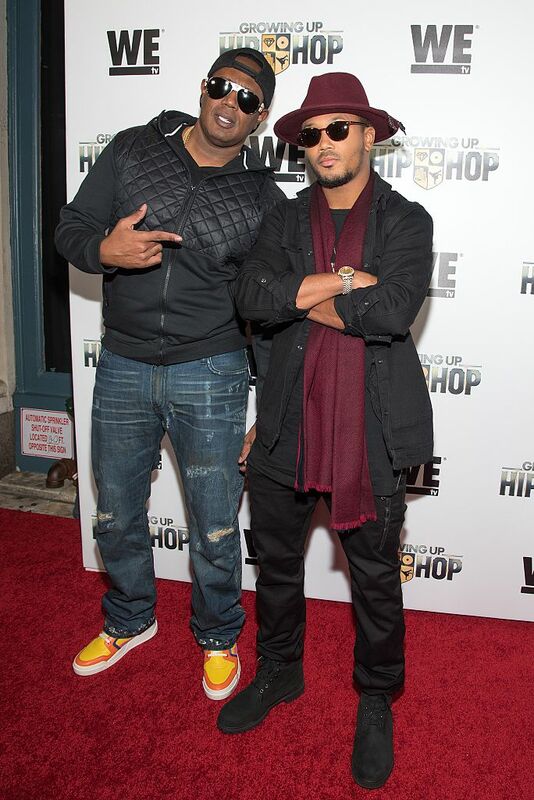 Luckily for Jackson Jr., who portrayed Ice Cube in the 2015 blockbuster Straight Outta Compton, his performance received rave reviews and struck up conversations about the similarities between the father and son. Although Jackson Jr.’s career is off to a great start, he said having his dad by his side and Ice Cube’s involvement in the movie made the process a lot smoother.